Thank you for your interest in working with Sweet Snaps Photography! 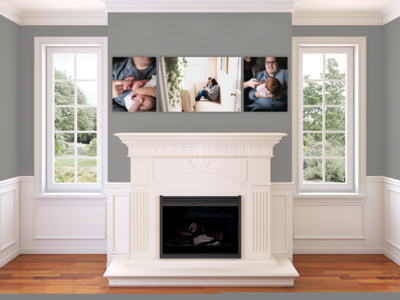 I am excited to create beautiful artwork for your family! The first step in booking process is scheduling your Pre Session Consult / Planning Appointment. This is where we'll sit down and plan out your session from start to finish. I'll walk you through the process and show you everything we have to offer, from wardrobe selection to props and wall art. Then we'll schedule your portrait session. At your session I'll start by getting to know everyone (this is especially helpful for the little ones), then I'll get to work creating your images. Approximately 2 weeks after your session, I'll reach out and schedule your viewing and ordering appointment. This will be when you make the final decisions about which wall art and products are best for you, and place your order. The rest is up to me! About 3 weeks after your order is purchased you'll have your gorgeous pieces in your hands! Creative session fees begin at $150. Wall Art, Products and digital file packages begin at $400. Professional portraits are an investment which is why we offer packages to suit most any budget, and offer payment plans for many of our packages. Most clients invest between $500- $2000 depending on their needs.